Hello all. I have a 1973 Mach 1 that has been in the family since 1980. It has not been on the road since 1987 but all that is about to change. I have rebuilt the original 351C 4V, the original C-6 transmission, the entire suspension front and rear, and installed a new dual exhaust system. I hope to have the car back on the road by June. The car is currently red with black stripes but will be returned to the original Blue Glow with argent stripes and spoilers after I get a few miles on it. Looking forward to interacting with the members here for technical help and I may be able to assist someone else too. Will post photos of the current state of my Mach 1 soon. Steve73QMach1;17951 Wrote: Hello all. 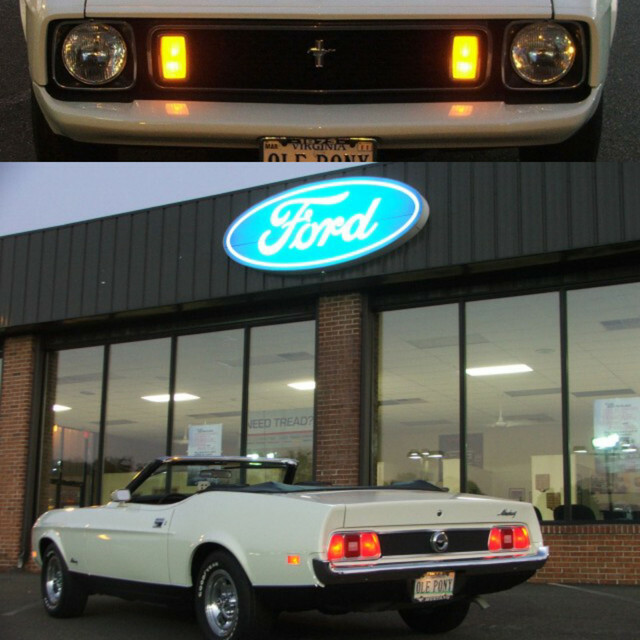 I have a 1973 Mach 1 that has been in the family since 1980. It has not been on the road since 1987 but all that is about to change. I have rebuilt the original 351C 4V, the original C-6 transmission, the entire suspension front and rear, and installed a new dual exhaust system. I hope to have the car back on the road by June. The car is currently red with black stripes but will be returned to the original Blue Glow with argent stripes and spoilers after I get a few miles on it. Looking forward to interacting with the members here for technical help and I may be able to assist someone else too. Will post photos of the current state of my Mach 1 soon. Welcome to the Club. Can't wait to see your pics. Welcome to the forum! You'll like it here I'm sure. Welcome and give us some pictures! I'm looking forward to seeing the pictures! Hello! And welcome to the site. Your car will be a great one when done one of my favorite color combos. I am looking forward to seeing it! Welcome to the forums! Glad to have you on board!